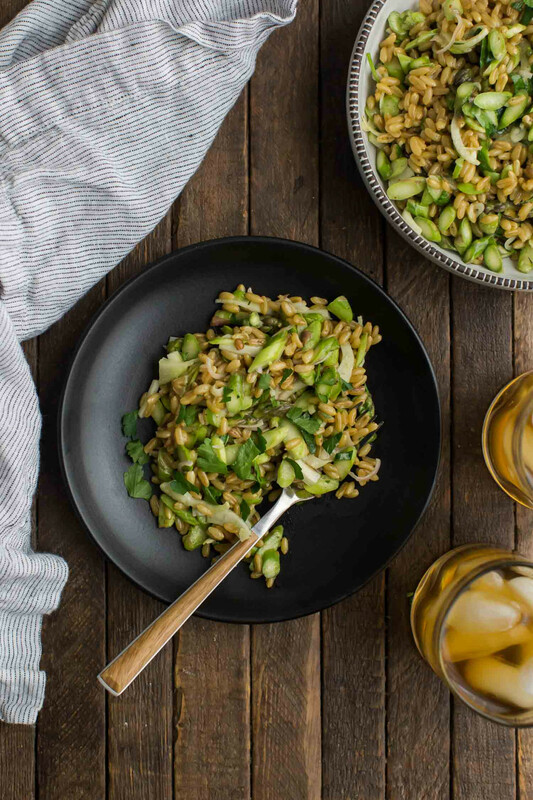 Raw Asparagus Fennel Salad and Khorsan Wheat | Naturally. I am guilty of feeling compelled to cook everything, minus a few exceptions like lettuce and most fruit. I forget that some raw vegetables are beyond lovely. Take for example this asparagus fennel salad. The vegetables are thinly shaved and tossed with the dressing while the grains cook. This results in crisp vegetables softened just slightly by the dressing. It’s one of the few times I don’t mind waiting for the grains to cook. Plus the warmth from the cooked Khorsan soaks in the remaining dressing. 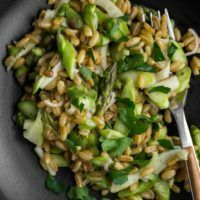 An beautiful spring grain salad that features raw fennel, asparagus, and shallots tossed with a tangy dressing and warm Khorsan wheat. Thinly slice the asparagus on the bias, as thin as you can- about ⅛” or 1/16” slices. Place in a bowl along with the thinly shaved shallots and fennel. Make the dressing next. Combine all the ingredients in a blender and puree until smooth. Taste and adjust salt/pepper as desired. Pour over the asparagus and toss until well combined. Let sit while Khorsan wheat cooks. Once the wheat is done, add to the bowl with the asparagus. Add in the fresh parsley and salt/pepper as desired. Serve while the wheat is still warm. Or, let cool completely and toss with greens. Tips & Tricks: Soak the grain for a faster cook time. Dressing can be stored in the refrigerator for a few days- I like to make a larger batch and use on dinner salads. The combination to keep in this salad is the asparagus/fennel/shallot mixture. It’s a true blend of spring flavors that play well together. I also love this combination on pizza, in omelettes, and in soups. Salad: I opted to not add greens this time around but this salad also works when tossed with spinach or butter lettuce. Grains: If you would like to skip the long cook time, I recommend switching to a quicker cooking grain like quinoa or millet. 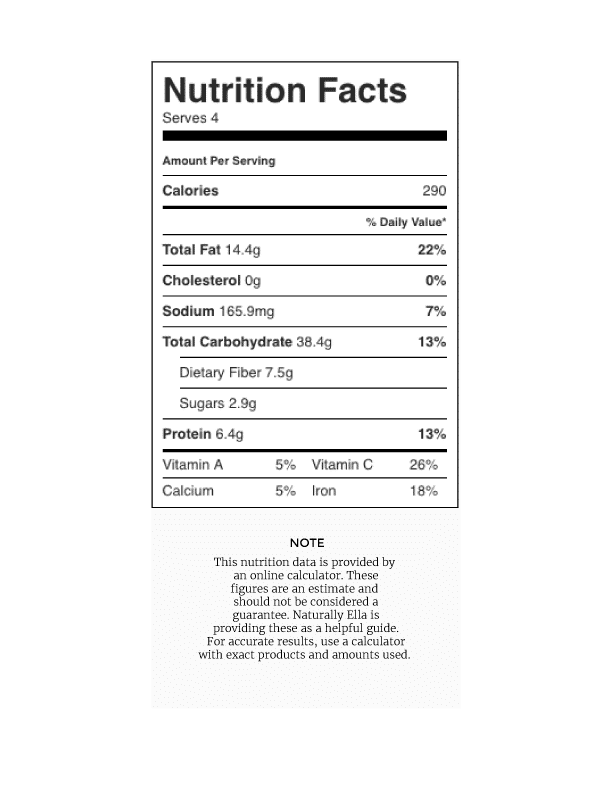 This would also change the recipe to gluten-free. 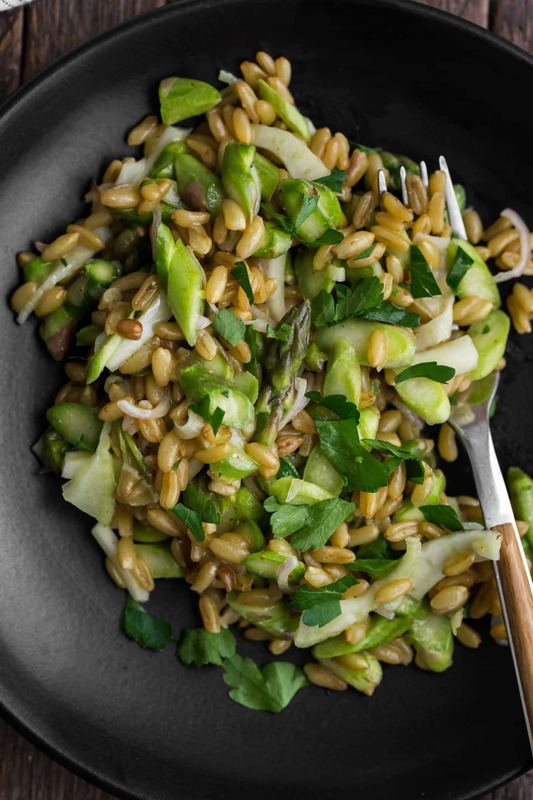 Cooked Vegetables: This asparagus fennel salad is fairly crunchy with the raw vegetables and chewy wheat. If you’re looking for a little less chew, try roasting the vegetables together at 400˚F for 15 minutes or so- just until the asparagus is tender. When it comes to the different types of wheat, I’m more apt to use as flour than I am as a whole grain. The grain is lovely but the long cook time and overall chewy texture can be a bit off-putting for some. 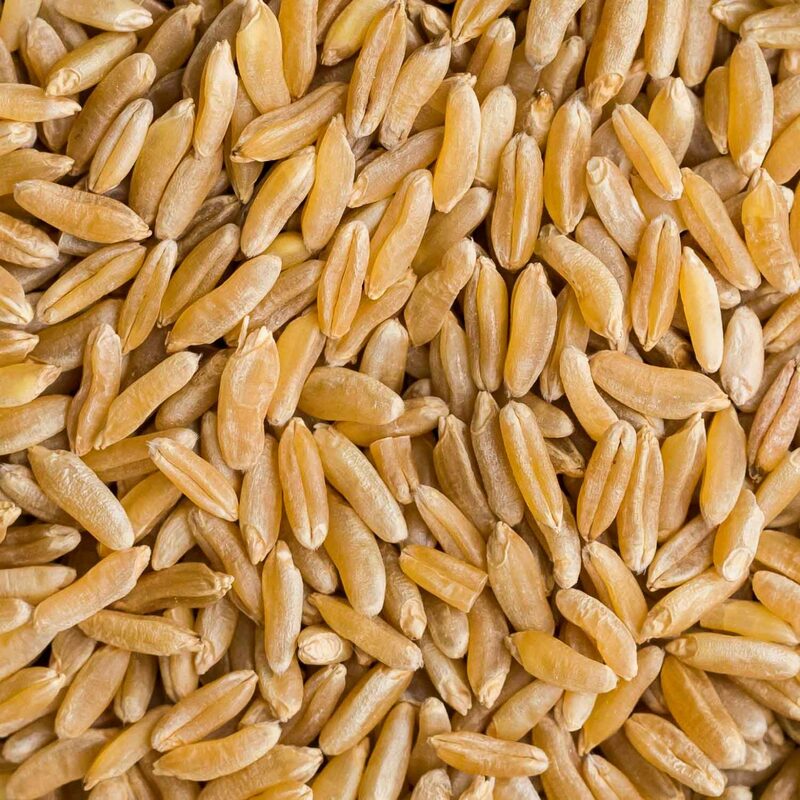 However, I find the mellow wheat flavor of Khorsan wheat is nice in salads, especially if you like a little texture variation. This looks so yummy! I bought all my ingredients and am making this tonight!